If 2011 is an indication of things to come, the road ahead could be a bumpy one for the community hospital EMR market. According to a new KLAS Brief — Community Hospital Market Share 2012: Small Hospitals, Big Changes — the market experienced a great deal of upheaval last year, with more than 200 hospitals under 200 beds changing or replacing their hospital HIS. The report found that economic pressures continue to push smaller hospitals into IDN relationships in order to survive, resulting in greater displacement of smaller-hospital CIS solutions with larger hospitals’ systems such as Epic and Cerner. 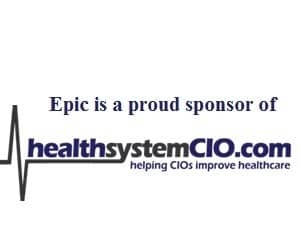 According to KLAS, Epic secured the most overall community CIS wins for 2011 followed by Healthland, Cerner, and CPSI. The research also uncovered significant differences in vendor performance and provider satisfaction, especially when broken out by various bed sizes within the community hospital EMR space. The Brief also discusses EMR adoption trends of critical access to large community hospitals. 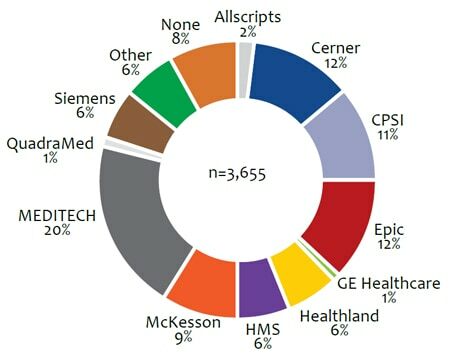 Allscripts, GE Healthcare, HMS, McKesson, MEDITECH, and Siemens are included in the analysis. Which Acute EMR Vendors Have the Strongest Ambulatory Products? Ask the Pros: Best Critical Access Hospital Vendor?